Any financial support from my fans as I strive to make my dreams come true would be greatly appreciated! Thank you in advance! Born in Livingston, NJ and raised in Easton, PA, Chanelle attended Easton Area High School before finding her way south to the University of Tennessee, where she earned a degree in Journalism and Electronic Media, minoring in Business. 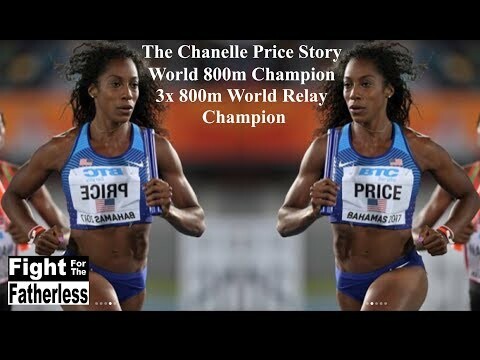 Her accomplishments in the world of track & field started early, competing as a 16-year old at the 2007 USA Outdoor Championships. The next year, she ran the second fastest 800m by a high school female of all time, qualifying for the Olympic Trials at the age of 17. While competing for the Vols, Chanelle was a 9-time All-American and 2-time SEC Champion. Now amidst a deep field of 800m USA runners, she continues to find herself at the height of the sport as a two-time USA runner-up, and the 2014 World IAAF Indoor Champion, making her the first American woman to ever win 800m gold at an indoor or outdoor world championship. Off the track, Chanelle is motivated by her strong faith. As she states, "I do not run for the fame, glory, recognition, medals, records, etc. I run because I am blessed with a God-given talent, and it is my job to do my absolute best with the gift I've been given."